Metal patio awnings and pergolas are a great way to add shade to your backyard patio for your outdoor barbecues and picnics. 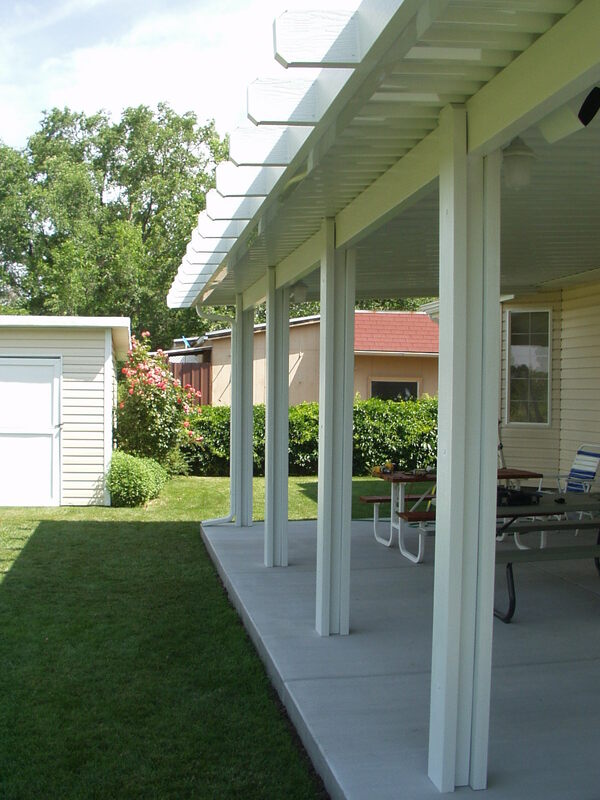 Huish's will help you decide on the metal patio awning or pergola that is right for you. A pergola is a structure consisting of parallel colonnades supporting an open roof of girder and cross rafters used to make shade. Today’s aluminum awnings are very eye catching and add architecture appeal to your home as well as providing the shade that you need. Contact us now for a custom quote!